…to the utmost degree he seems to enrapture the soul in a magic way. The Polish violinist Karol Lipinski was born in Radzyn in 1790, just twenty years after Tartini had passed away. At that time his father, Felix, was director of the private orchestra of the Potocki family, who owned one of the most magnificent estates in Poland. Felix’s primary instrument was the clarinet, but he played others, including the violin. He did some composing, and taught music to his patron’s children as well as to his own sons, Karol, Felix, and Antoni. Karol learned violin from his father. Largely self-taught, Felix Lipinski was well aware of the importance of broader knowledge, and made sure that his sons took advantage of the tutors for the noble family’s children. He wanted them to learn literature, painting and especially languages, which were later so useful to Karol. Following the 1799 partition of Poland, the Potockis lost their estate. Many musicians were thrown out of work when the political conditions changed, but fortunately for the Lipinski family, Felix was offered work as the conductor of Count Adam Starzenski’s orchestra and as music tutor for his son Aleksander. The family moved to Lvov, in Galicia, as the Austrian partition zone was called. Lvov is now in Ukraine, close to the SE border of modern Poland. Musical life flourished in Lvov, and the music of Mozart, Haydn and other favorites of the Viennese found its way into the homes of the Polish aristocracy with their private orchestras. It was a stimulating atmosphere for a musician. In addition to his conducting duties, Felix Lipinski organized a chamber ensemble which he entrusted to young Karol. Just 13, Karol acquired tremendous experience in group playing. To keep up he practiced many hours, using Methode de Violon, the handbook of violin technique newly published by Pierre Baillot, Pierre Rode and Rudolphe Kreutzer in 1803. By nature modest and shy, he gained social confidence and knowledge from performing in the homes of the aristocracy. The Austrian officer Ferdinand Kremes took a friendly interest in Karol’s musical development. Only three years older, he was an accomplished cellist and had the techniques to produce a wonderfully deep tone. After some time, Karol decided to switch to the cello. He quickly attained the proficiency to play the cello part in string quartets and perform contemporary cello concertos by Romburg and de Lamare. He did not give up the violin, but played either instrument according to what the ensemble needed. Later in life he attributed to the cello his ability to produce grand, deep tones and to sing on the violin like no other virtuoso. Karol was sometimes called upon to assist his father in conducting the Count’s orchestra. It was customary at that time for the Kapellmeister to lead not only with his arms, but to play the leading part, or some of it, on the violin to enhance the sound. Karol also used the violin when conducting the orchestra and with his deep cello-born tone, was able to prevail with his sound and give great expression to the ensemble. The Kapellmeister also had a duty to compose music, and Karol began to work at that. Starting with dance suites, he wrote three symphonies by the age of 20. After several years playing the cello, Kremes convinced Karol to return exclusively to the violin, pointing out that it would open his way to the leadership of an orchestra. Karol followed this advice. Towards the end of 1809, he was offered the position of concertmaster in the local theater of the Austrians. He naturally accepted, and continued to compose music, shifting his emphasis to overtures and songs that were needed for the plays. He contributed music to operettas such as The Danube Mermaid, and continued to play with chamber groups and with a Lvov symphony orchestra. He continued to use his violin to rehearse the orchestra, thus developing considerable skill at outlining harmonic textures with double or triple stops and generally chordal playing. At the turn of 1812-13, he married Regina Garbaczynska of Lvov. They eventually had seven or eight children. We know the names of the oldest son, Gustaw, who became a lawyer and later managed his father’s estate in Urlow, Natalia, a pianist, Teresa, and Bronislawa, who later published her recollections, including those of her mother. The next year, Lipinski obtained several months’ leave of absence and travelled to Vienna, mainly to hear Louis Spohr and to meet him. Spohr’s performance made a deep impact on him, and when they met and Lipinski played for Spohr, the German virtuoso was so warm and encouraging that Lipinski made the decision he had been thinking over for a long time. Inspired by a man whom he considered the perfect example of virtuoso violin playing, he would leave orchestral work and pursue a career as a soloist. He returned to Lvov, resigned from the theater, and spent two years in intense practice, following the instructions that Spohr had given. After several appearances in Lvov, Lipinski left on his first concert tour in late 1817. His destination was Italy, and his aim was to hear and perhaps even to play with Niccolo Paganini, whose fame was spreading widely. With him he had various letters of recommendation, for the help of influential people was essential in order to organize concerts. He appeared in Hungary, Croatia, then the nearest Italian city, Trieste, and continued to Venice, where Paganini was going to appear. Missing Paganini in Venice, he went on to Milan. There he stayed and attended numerous music performances of all types. At last he caught up with Paganini in Padua. At the performance he attended, initially he didn’t appreciate Paganini’s playing, but gradually during the performance grew to like it. The two met at the intermission, at dinner, and again at breakfast the next day, where they performed for each other. Staying at the same hotel, they had many opportunities to meet and play together and gradually grew fond of one another. Paganini suggested that they play in public, which Lipinski was happy to accept. On April 17, 1818, they appeared in the packed theater of Piacenza. They played Kreutzer’s “Concerto for two violins and orchestra” and some of their own compositions to a very enthusiastic house. A second duo concert followed, and Paganini suggested a joint tour of Italy. Lipinski, however, was anxious about his wife, who was expecting a baby, and decided to return home. A few weeks later Paganini, writing to a friend, commented that the Pole had “. . . played my quartets . . . truly excellently.” Lipinski, while enjoying and admiring Paganini’s showy virtuosity, decided to remain faithful to the more classic style he had derived from Spohr. Lipinski would play this violin, the not-yet-named-Lipinski Strad, for the rest of his life. Years later, he seems to have acquired also a Guarnerius del Gesu, and he was left an Amati by Paganini. The present writer points out that this story illustrates the influence of Tartini’s notions of expressive interpretation and shows the programmatic intentions behind at least some of his sonatas as well as the power of those ideas to inspire a responsive and sensitive violinist, thereby affecting the course of violin performance and interpretation. We also see that Tartini did not necessarily conceal the poetic inspiration for a work by transposing it into his private code (deciphered in 1935) meant for his inner circle, and that the verse attached to some sonatas could more extensive than a phrase or two. It is logical to suppose that a few lyrics would be required to present an image that would inspire Lipinski to such an extent. Lvov, which had received reports Lipinski’s successes, welcomed him with enthusiasm when he returned from the ten-month tour. Resuming his local teaching responsibilities and his composing, over the next years he made several tours in Poland, Germany and Russia. He often went to the large Kiev trade, carnival and cultural fairs which were held in late winter each year and his appearances became a popular, regular feature. In St. Petersberg, he filled the huge ballroom that artists didn’t normally use as it was considered too difficult to attract a sufficient audience for the room. He played four times in Wroclaw (Breslau) in 1821 and 1826 to the enthusiastic response of the town and the students, appearing in the Baroque university hall recently built by King Leopold I, the Aula Leopoldina. About fifty years later, Brahms would appear there to conduct his Festival Overture, composed for and dedicated to the university as a response to the honorary doctorate that they granted him. In 1829 in Warsaw he met Paganini again after eleven years, during the coronation of Nicholas I of Russia as King of Poland. Their joint and separate concerts, attended by the nineteen-year-old Frederic Chopin, ignited a storm in the press over which was the greater violinist. After it reached the stage of dishonest polemics, Lipinski wrote the Warsaw paper, pointing out that he had not studied under any master except his father, nor attended a conservatory, nor had he studied under Paganini; but that if he had, he would have counted it an honor: “…Meanwhile the author (of the attack) will kindly acknowledge that while I myself am greatly impressed by the magnificent talent of Paganini, I have never aspired, nor could I ever aspire, to be compared to him, since I have chosen a completely different style of playing and have undertaken to develop it painstakingly and perseveringly…” The two violinists remained friends despite the excesses of the press. Many in Poland said it was the perfect time for a tour to Paris and London. Lipinski decided instead to take some time to focus once again on perfecting his technique and interpretation to his fullest potential. He suspended his tours, playing in Lvov only and concentrating on composing as well. Some of this reluctance to travel was due to the insurrection of the Poles in the Russian partition zone of Warsaw against tsarist rule. In spite of the fact that he had been officially made “The First Violinist of the Imperial Royal Court,” Poles, even those from the Austrian zone, were not particularly welcome in Russia at that politically sensitive time. The time seemed right to go west again in 1835-36, and after a shorter tour or two, he departed for Germany, Paris, London and Manchester with Regina and two of his daughters, Natalia and Bronislawa. The trip was later described by Bronislawa in her Reminiscences. The first stop was Leipzig, the musical gateway to Europe, where Robert Schumann wrote “Lipinski is here. Those three words are enough to make the pulse of a music lover beat faster.” Schumann would dedicate Carnaval to him. Lipinski performed twice in the Gewandhaus in June, and stayed for the rest of the summer of 1835. He made many friends and acquaintances that summer. One was the critic Gottfried Fink, the editor of the Allgemeine Musikalische Zeitung. Lipinski visited his home where he would play Mozart, Beethoven and Bach with Fink’s daughter, Charlotte. Another was the Polish guitarist Jan Bobrowicz, who had settled in Leipzig and owned a publishing house and a bookshop. They made concert appearances together, including several subscription chamber music concerts in the Gewandhaus. They played, among other things, Paganini’s quartets with guitar accompaniment. Clara Wieck, later Schumann’s wife, also took part. Felix Mendelssohn had just become the new music director of the Gewandhaus. Early in summer concertmaster Heinrich Matthäi became so ill that a replacement had to be found; he died in the fall. Lipinski stayed in Leipzig through the summer, departing in late August; Powrozniak suggests that he may have stayed that long in order to apply for the post. 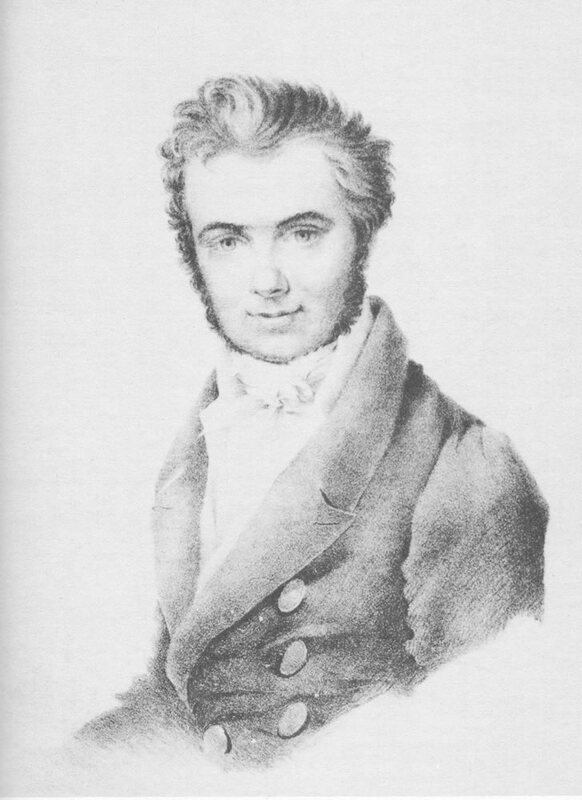 We know that he wanted it, although according to Böhm, the performances in competition for the position took place several months later, during the following December and in January of 1836 when Lipinski was already in Paris; David presented three evening performances with the Gewandhaus quartet, and the Gewandhaus management, against Mendelssohn’s will, had invited others to apply. Böhm writes that a letter was sent to “Herr Lipinsky” but that his demands were too high. If a letter was sent, it was most likely that autumn or winter when Lipinski had already left for Frankfurt and Paris. The real trouble was that Mendelssohn wanted his friend, Ferdinand David, to be his new concertmaster. When David was given the position, Lipinski became embittered and swore never to play in the Gewandhaus again. He kept that promise. When he returned to Leipzig a year later at the close of his tour he used a different hall, to the Gewandhaus management’s chagrin. As context in the life of the Stradivari, in 1835 Engelbert Röntgen, who would become its next owner, was six years old in Deventer, and joined the Gewandhaus orchestra fifteen years later. Continuing the tour, he stopped in Frankfurt am Main and gave one well-received concert. The second performance had to be cancelled because the neck of the violin was accidentally broken. Lipinski took it directly to Paris for repairs, but even there things did not go smoothly and it was several months before the violin was completely restored, during which time Lipinski had to find substitute instruments. He performed in Paris and also made many contacts with both Polish émigrés and French musical circlesincluding Mayerbeer, Liszt, Rossini, Berlioz and Baillot. He became friends with Chopin, who taught his daughter Natalia piano. By the time summer came again, the Lipinskis had arrived in England. He played four times in London and twice in Manchester, to excellent reviews. His own variations on themes from La Cenerentola were much enjoyed.Bronislawa wrote in her memoirs that her father “played in public at the royal court, which was a rare event for a foreign artist.” After his last appearance, in Covent Garden, the Morning Post said that Lipinski “enraptured the public with his performance which cannot be surpassed by anyone.” His instrument was praised as well, for its melodious, dazzling tone. Homeward bound and back in Leipzig after more than a year, the family remained for two months while Lipinski gave private concerts and one public appearance, which, true to his vow, was held in the hall of the Hotel Euterpe. The Gewandhaus management sent Concertmaster David to try to persuade him to play in their hall, to no avail. Returning from Vienna, he learned of the unexpected death of Alessandro Rolla, the 39-year-old concertmaster of the royal orchestra of the Saxon King Frederick Augustus in Dresden. Lipinski determined to apply for the position. He was almost fifty, had a large family, and felt the need for a more settled life and fewer concert tours. An exchange of letters regarding terms and conditions followed with the Baron von Luttichau from June, 1837 until December of 1838. During the negotiations Lipinski found time for a concert tour to Prague and Russia, and a second tour to Moscow, St. Petersburg (again) and Riga. The King also sometimes left town, hampering the Baron’s ability to press the affair to a swifter conclusion. In fact, having left for Odessa in late July, 1837 almost cost Lipinski the position when a letter from the Baron arrived while he was gone, and the appointment was more or less offered to the second concertmaster, Morgenroth, and his position in turn to the young and inexperienced Franz Schubert (not the composer). Lipinski, however, accepted the offer in December on his return to Lvov, and hurried to Dresden to speak with the Baron and to give a concert for the King on December 28. In mid-January he left for Kiev, then St. Petersburg. The King had still not made a final decision. After several letters from the Baron to the King pointing out Lipinski’s eminent reputation, the excessive age of Morgenroth, the inexperience of Schubert, and the risk to the orchestra of not having a strong leader, the King made the appointment and Lipinski went to Dresden in December, 1938, to sign the contract. The one who was heartbroken was Schubert, who wrote a bitter letter to the Baron. Matters seemed settled; however, the King had not budged on the salary of 1200 thalers, which was less than Rolla had received, and was only offering a two-year trial employment. Lipinski knew how to handle that. He arrived in Dresden, accepted the position, and handed the Baron a letter that said he needed time to deal with unexpected family matters and put his financial affairs in order before leaving his country for two years, all of which prevented him from assuming the concertmaster position at once. He was given six months’ leave—one pictures the Baron swallowing hard—and the six months was also subtracted from the period of trial employment. He gave another December concert for the King, almost a year after the first one, received a second gold snuff box, and promptly left for two concerts in Prague, all in December. By February he was in Moscow, by April in St. Petersburg. As always, his programs included many of his own compositions. In May, on the way home, he stopped for two performances in Riga, and met Richard Wagner, the young conductor in charge of the orchestra that accompanied Lipinski. They would work together in Dresden, not always without fireworks. On June 18, 1839, the Lipinskis left Lvov forever. By July 5 he was at work in Dresden as the first concertmaster of the court orchestra and director of church music. Dresden was a city rich in cultural tradition, and the court orchestra and opera had been founded as early as 1548. Bach, Mozart and Beethoven had made concert appearances. Chamber music was well established and much loved. There were close cultural links with Poland, especially from the period when the Polish throne had been occupied by the Saxon electors Augustus II and III. For a time Dresden had hosted a Polish royal orchestra. There was a Polish community that consisted mostly of exiles from the innumerable uprisings and national liberation movements. It was, in short, a compatible milieu for Lipinski’s work and he expanded his artistic activities in many directions. He improved the level of his smallish orchestra, which was composed of the best musicians available, such as Dotzauer and Kummer on the cello (composers of cello etudes), Kummer’s brother on oboe, Furstenau on flute, Kotte on clarinet, Levy on the French horn. Lipinski gradually became an expert in ways of interpreting old music, and was given a free hand in choosing the interpretation of orchestral, chamber, and operatic works. The opera company with F. Morlacchi as the conductor maintained just as high a standard as the orchestra, and the performances were attended by opera lovers from all Germany. In May, 1840, Paganini died and left eight violins to the eight best violinists in Europe in his will. Lipinski received a beautiful Amati. In December of that year, his trial period with the orchestra ended, and he was given a lifetime appointment and an increase in salary. A few months later, the new Dresden opera hall opened, offering scope to perform more and larger productions. Wagner, not succeeding in Paris in his attempts to produce his new opera, Rienzi, wrote the King and offered to produce it for the inauguration. This was ignored, but two years later he was welcomed to Dresden. He was eventually made artistic manager of the opera. He began to change the accepted ways of presentation of operas, and simmering controversy reached boiling point over Mozart’s Don Giovanni. Wagner adopted the so-called Parisian tempo, to the complete opposition of Lipinski. It seemed to be Lipinski’s line in the dust, because he had been very enthusiastic about Wagner as a composer and had fully supported the productions of Rienzi and The Flying Dutchman. Lipinski had full royal court authority to let nothing be changed without his agreement. Wagner, however, did it his way. This led to high-level controversy and accusations, and Wagner eventually wrote Luttichau an apology, not omitting to attack Lipinski. This was all in 1843. Lipinski threw out an olive branch, which was accepted, and things calmed down. Lipinski’s virtuoso friends often came through Dresden to perform, and were considerably helped by him. He performed under Mendelssohn’s direction in 1840, having let the controversy over Gewandhaus concertmaster go. Liszt came for two concerts and played in a quartet evening in Lipinski’s home. Berlioz came in 1843, and Lipinski played the solos in Reverie et Caprice Op. 8, and the viola solo in the symphony Harold in Italy. His powerful tone made him one of the best performers in these works. Berlioz later wrote “…what we achieved was magnificent although the program was imposing.” At Berlioz’ request, Lipinski played the same two works in London in 1848. Robert Schumann came to Dresden in 1844 to complete his Faust. He composed two piano trios while there, which he played with Lipinski and the cellist Dotzauer. In 1844 Lipinski received leave to make a concert tour of Poland. He also played twice in Lvov, where he was enthusiastically welcomed with a serenade and an all-night banquet. Back in Dresden, he resumed teaching which he had always done even on concert tours. He taught a number of Russian violinists, including Karol A. Kalmroth, concertmaster of the Grand Theater in Moscow. Thirteen-year-old Henryk Wieniawski stayed in Dresden in 1848 and was mentored by Lipinski, who called him his “worthy successor.” The Russian critics took note of Wieniawski’s improved expression and finesse when he played the Military Concerto, calling him Lipinski’s second edition, “improved and enlarged.” Lipinski provided Wieniawski with a letter of introduction to Liszt who, after their meeting, was a great help to the young violinist. In similar fashion, he mentored the fourteen-year-old Josef Joachim, who came to Dresden to meet him as he had heard that he was the best performer of Bach. Lipinski had been told much about Joachim by the boy’s first teacher, Serwaczynski. In Dresden Joachim performed, under Schumann’s direction, Mendelssohn’s concerto in E minor. Lipinski invited him home and played him several pieces by Bach. The two became friends and later Joachim often mentioned the fatherly friendship and protection he had received from Lipinski. His last tour was to one of his favorite destinations, Kiev, in 1846. Following this, he focused on the orchestra, the string quartet, and his teaching. He also did a great deal of music editing, such as all the Haydn quartets for the publisher R. Friedel of Dresden. 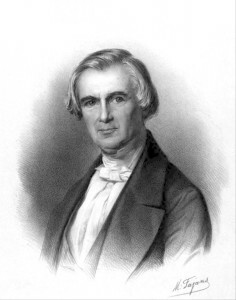 In 1850 Baron Luttichau, recognizing that Lipinski had long been deserving of more recognition for his work, asked the King to increase his salary, which was granted. Schumann left Dresden late in that same year, after which Lipinski felt sadly deprived of his companionship. Three years later, when the position of conductor of the Dresden orchestra was expected to become vacant, Lipinski proposed Berlioz. Ultimately, the composer agreed to visit Dresden only to conduct his own compositions, and Faust was produced in April. Liszt came to town, and Lipinski performed Beethoven’s Kreutzer sonata with him. Things were gradually winding down for the Lipinskis. Their daughters had married one by one and moved away. Karol kept up a most affectionate correspondence with Bronislawa in France, and presumably with the others; he had assured her that he regarded all his children with equal affection. The sons mostly lived on the landed estate that Lipinski had bought in Urlow, Galicia. The most serious blow came in 1856 when his wife Regina, whom he had always referred to in superlative terms, passed on. After a few months away—it is not known where—he continued to work much as usual, but his health began to slip with either rheumatism or gout. He took annual summer cures in Cieplice, and sometimes visited Urlow. Gustaw stayed with him in Dresden for a while. In 1858 he was not able to play with the orchestra. Nevertheless, he resisted retirement until early 1861. The king granted him a pension of 1000 thalers, the formalities to pay it abroad in Galicia were completed, and he and Gustaw left Dresden for Urlow. There, in the peace and calm of the countryside, Lipinski experienced some improvement and founded his dreamed-of music school for talented peasant children, paying for Lvov violin makers to supply violins. He taught for several months, but on Dec. 16, 1861, passed away following an acute attack of asthma. He was 71 years of age. Gustaw, who died childless 11 years later, divided the proceeds from the estate into four parts. One was to be used for the upkeep of the family grave. The other three parts were used to create three scholarships, named for Karol and Regina, for Polish violinists to study at the conservatories in Lvov (which had to rename its music school a conservatory to receive the benefit), Naples, and Vienna. Many students were helped, but World War I unfortunately put an end to the foundation. Powrozniak sees the essential characteristic of Lipinski’s style as his ability to combine virtuosic and interpretive playing, classic and romantic. This represented a new direction in violin playing which today is standard. The characteristics of his style are most fully expressed in his compositions for solo violin, or violin and piano, of which there are over thirty examples. His music, neglected for a while, is undergoing a revival. Mr. Krockow, “Lipinski’s Violin,” Violin Times, Dec. 15, 1895 and Jan. 15, 1896. Regarding Lipinski’s appearances with the Gewandhaus Quartet in 1835, unfortunately the index of chamber performances in Claudius Böhm’s book, Das Gewandhaus-Quartett, begins in 1840. Gottfried Fink, “Carl Lipinski,” Allgemeine Musikalische Zeitung, 1835, no. 26, July 1, pp. 424-428. Available online in Google Books. This is the most complete biographical information that was published during Lipinski’s lifetime.